Need a home inspection in Snohomish? Snohomish, WA is a small city located in Snohomish County, Washington, near the East Coast of the state. It was founded in 1858 by a man named Emory C. Ferguson and a number of others, and originally known as Cadyville, until the name was changed in 1871. The name “Snohomish” refers to the Snohomish people, who were Native Americans who originally inhabited the area. Today, around 10,000 people live in the town, based on the most recently-available census data. The town is still well-known today for having a number of historic homes, and it has become a tourist destination, due to the placement of the Snohomish Historic District, located downtown, on the National Register of Historic Places. In addition, Snohomish is known as the “Antique Capital of the Northwest” due to the large number of antique shops that line the historical downtown, and which are present throughout the rest of the community. Due to this status, antiquing enthusiasts from all over the Pacific Northwest visit Snohomish regularly. As of the most recently-available data, residents of Snohomish had a median household income of $69,443, which is much higher than the US average. In addition, unemployment is below the US average, at a rate of only 4.7%. A few of the major industries in the area include manufacturing, health care and social services, transportation and warehousing, construction, and educational services. Transportation in Snohomish is primarily accomplished by road. Community Transit is responsible for public transit services in the area, and most residents travel and commute by car. Some of the major highways and roads that are in the area include US Route 2 and State Route 9. I-405 and I-5 are also accessible from Snohomish. King County International Airport is the closest nearby airport, and is about 40 miles from the city. Schooling is provided by the Snohomish School District, which operates a total of 19 schools, offering pre-K through 12 education for around 6,000 students. 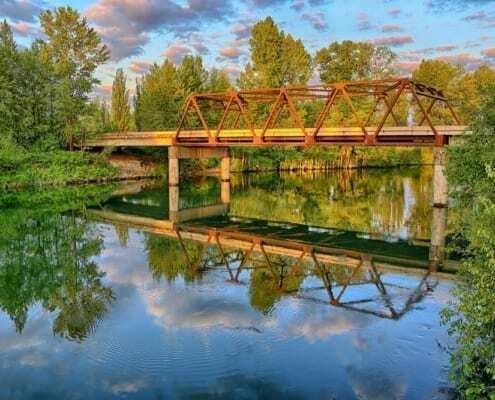 Want to move to Snohomish? Not sure where to start? Here is a handy list of local resources, phone numbers, and information that you can use to learn more about the area, and decide if it’s right for you and your family. Purchasing a home in Snohomish, WA may be one of the biggest investments you make in your life. That’s why you need a home inspector who can examine every aspect of a home you’re interested in purchasing, and ensure that it’s free of any major problems. Don’t know where to start? Contact Key Inspection Services right away. When you schedule a home inspection with us, you get the best service in Snohomish County – at a reasonable rate. Get started today!